Undoubtedly one of the most significant dates in the Philippine's history is Independence Day because. It marks the nation's independence from the Spanish rule on June 12, 1898. The Filipinos all over the world largely celebrate this day. On Independence Day many people such as government officials, employees, and students, participate in nationwide parades. However, the police and military parade in Manila headed by the country's president is always the highlight of the day, followed by a speech and a 21-gun salute. Many Filipinos spend the day in parks and malls. Many Filipino communities abroad also celebrate the nation's Independence Day every year by organizing a great event in parks all over the world. The Philippine's Independence Day is a national holiday so there are no classes in schools, all official instances, government offices and also most of the corporations are closed giving the occasion to the people to celebrate. 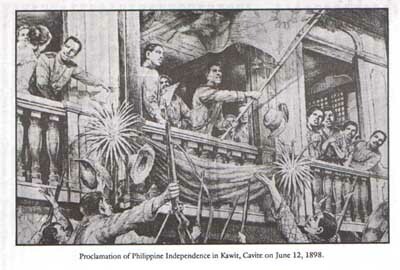 The annual June 12 observance of Philippine's Independence Day came into effect after past President Diosdado Macapagal signed the Republic Act No. 4166 regarding this matter on August 4, 1964. This Act legalized the holiday, which is based on the Declaration of Independence on June 12, 1898 by General Emilio Aguinaldo and Filipino revolutionary forces from the Spanish colonization. The Philippines' flag was raised and its national anthem was played for the first time in 1898. However, liberty was short-lived because Spain and the United States did not recognize the declaration.